Adobe’s recent change of license strategy for most of its Photoshop family software tools has introduced a lot of doubt among the previously happy customers. Because of Photoshop CC, many owners of Lightroom 3 and 4 have started looking for alternatives, fearing that despite Adobe’s claims, there is a possibility that Lightroom will also be moved to a subscription-based license in the future. Such fears are further complimented by the fact that the older versions of Lightroom will never gain support for the newest mirrorless and DSLR cameras, or new lens profiles. For this reason, Adobe had to make sure Lightroom 5 was so good, it would keep its customer base happy and tempted by the new features despite the recent changes in license strategy of its other products. The pressure is made worse by rivals always breathing down Lightroom’s neck. So, was Adobe successful in providing a stable, capable update for its long-time users? Is Lightroom 5 likely to attract new customers, who previously avoided what may be considered a Camera RAW plugin dressed in a suit of extra functionality? In this article, I will review the latest version of Lightroom and discuss its newly gained features in detail. I will also talk about what could have been better in Lightroom 5 so as to, by the end of the article, help you make up your mind whether purchasing or upgrading to this popular piece of software is beneficial to you. You will notice that not much has changed, but the changes that did take place are rather important. As some might have noticed, Mac support is now limited to OS X 10.7 (Lion) and newer. This means users of older Mac OS versions are left out and will either have to skip on this and, most likely, future Lightroom versions, or update their operating system to a newer release. Official support for Windows includes Windows 7 Service Pack 1 and Windows 8, although we have received reports that the Public Beta release worked with the older operating system from Microsoft, Windows Vista. Even so, if you are a Windows Vista user, do not be at all surprised if your copy of Lightroom stops working after an update, or fails to update in the first place at some point. As with Lightroom 4, Windows XP support has been completely dropped. While there are many Windows XP users out there that might complain about this requirement, we think it is the right move on behalf of Adobe – Windows XP is more than 10 years old now and it is about time to kill it. In addition, Microsoft is discontinuing support for Windows XP as of April 2014, so you really have no option but to upgrade. Same goes for Vista to an extent – it was by far not the best effort by Microsoft and you’d be much better off with Windows 7 or 8 anyway. OS restrictions are not the only changes. Lightroom 5 wants a bit more hard disk space with 2 GB’s versus 1 GB for the version 4. I personally think that, today, such a requirement is not really relevant, because virtually everyone will have that amount of free disk space and more. For what it’s worth, my Lightroom 5 directory does take up a little bit more space than that of Lightroom 4.3 (0.99 GB vs 860 MB). There are more files in it, too, by around a thousand. Lightroom takes up additional disk space while working by creating temporary files. Catalog sizes stay about the same after the upgrade, with catalog sizes changing by 1-2% (up or down), depending on the size of the catalog. More importantly, Adobe now recommends twice more RAM when using Lightroom 5 than it did with the previous release. The minimum requirement is still 2 GB of RAM. This surely indicates the new version is somewhat more resource-hungry. However, I haven’t noticed any significant performance changes except for those described in the “Performance Issues” section of this review. I would have expected Adobe to improve Lightroom’s usage of available resources to make it operate faster, especially when it comes to Importing/Exporting images. 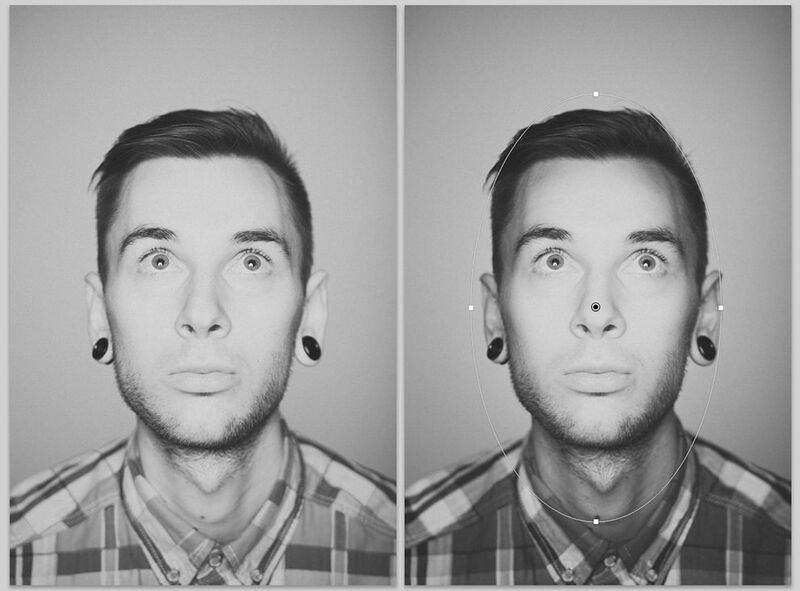 That said, I am still generally happy with how snappy Lightroom is. It’s just no better than Lightroom 4 in my opinion. Small rearrangement of hot keys, most notably – hitting “F” will now engage full-screen preview mode. This is more handy than you may think. I will go over some of the above changes in detail further down below. There are a few changes made since the Public Beta was launched. First and foremost, with the help of all the people who tested and provided feedback during the Beta run, over 400 bugs were found and fixed. Also worth mentioning is the now-built-in Behance Publish Service and the expanded Feather slider for the Radial Filter tool. Unfortunately, Adobe does not seem to want to provide profiles for older lenses, such as the brilliant Nikkor AF 85mm f/1.4D that I use. You can go through the hassle of creating lens profiles yourself. To do that, you will need to download the Adobe Lens Profile Creator. 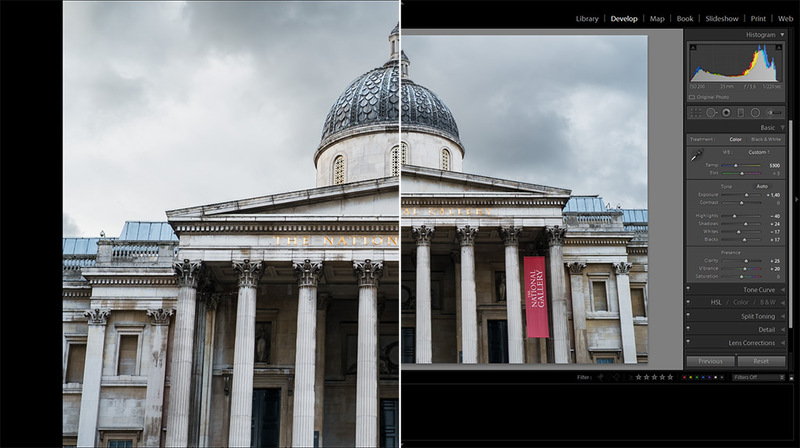 If you don’t yet know how to use it, read section 4 of our “Lightroom Lens Corrections” article. Hit “A” on your keyboard to engage the Visual Spots view mode while using the Spot Removal tool. It will help you better spot sensor dust and blemishes. To fine-tune Visual Spots, hit “T” to toggle the toolbar and adjust the corresponding slider. 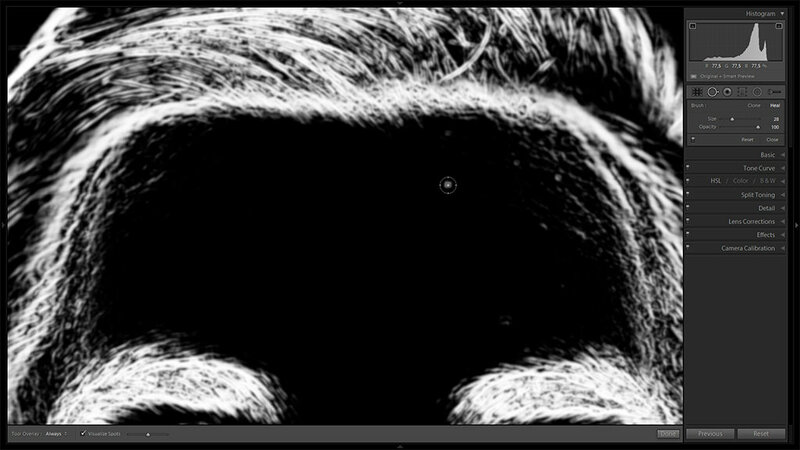 Moving the slider to the right will show finer detail, whilst moving it to the left will result in a less detailed view. Double-click the slider to go back to default sensitivity. Neat, isn’t it? Radial Filter is yet another welcome addition to the list of tools available in Lightroom. It acts very much like Graduated Filter and shares most of its settings. As you have probably figured out, the main difference is that it is… radial. Yes. Sounds simple, but this makes the Radial Filter a very powerful Vignetting tool with all the same controls as the Graduated Filter. You can add several Radial Filters and localize vignetting very precisely. By default, all the sliders will affect the outer regions of the selection. Check the “Invert Mask” option at the bottom of the panel to reverse this behavior and affect the selected region instead. 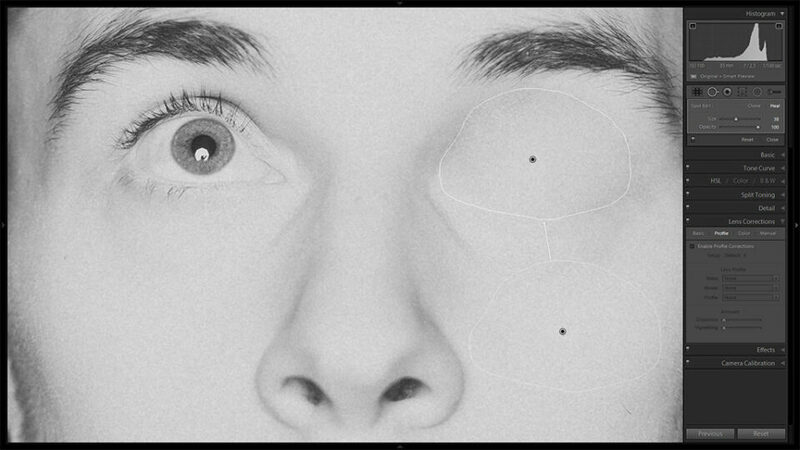 Use the new Radial Filter to guide the viewer’s eye exactly where you want to. The Radial Filter tool will be covered in much more detail in the upcoming Mastering Lightroom series articles. The Lens Corrections panel gets a whole new tab called “Basic”, where you can quickly engage some of the most used features without doing much manual input yourself. It is handy and saves you a couple of steps when dealing with optical imperfections your lens may have, such as vignetting, distortion and so on. Most of the settings in the Basic tab of Lens Corrections panel are not game-changers, but the new Upright feature is quite useful. 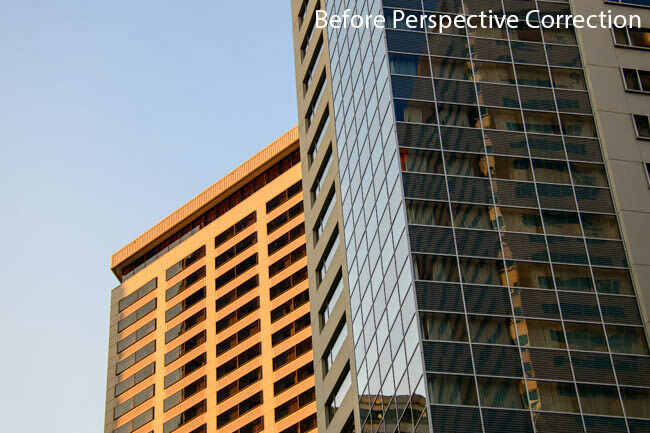 Upright allows you to automatically straighten the horizon and fix buildings that may be “leaning” or “falling away”. It is not as effective as actually using a tilt lens, but works very well and is achievable with a simple mouse click. For professional architecture, you would still prefer specialized lenses. But for those more casual photographs, it’s an awesome feature to have and, unlike the said lenses, doesn’t cost an arm and a leg. At first glance, everything looks fine and Upright seems to have done nearly as well as you would hope it to after clicking the Auto option. At closer inspection, you will notice the male subject got distorted somewhere in the process. Most noticeably – his face got stretched. Choosing the Full option would make this even worse. Upright behavior has not changed since Public Beta release. To fix something like that, I would need to go to Manual tab and do some well-judged adjustments from there on my own. Keep in mind that it is better to use Upright with architecture and landscape shots. 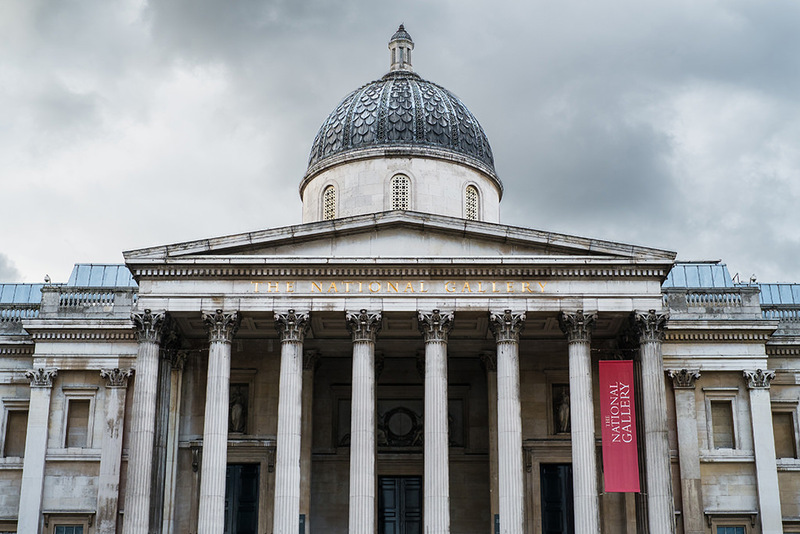 Be careful when using Upright with images that have people in it though, even if architecture is involved. Consider playing with the settings (some of them can be found in the Manual tab) for best results, or doing things yourself altogether. If you want to learn more about fixing optical imperfections with Lens Corrections panel, read our “Lightroom Lens Corrections Explained” article. Smart Previews is a new feature previously introduced in Lightroom 5 Public Beta. Smart Previews allow you to make changes to your images, look up and copy settings even without actually having direct access to the files. For example, if you prefer to keep your hefty RAW files on an external hard drive, unless the drive was connected to your computer at the time of work, you could not post-process those images with Lightroom 4 and older versions. 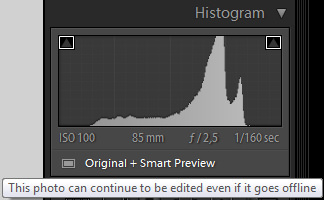 Never mind the post-processing, you have no way of even looking at the adjustments you made to those images. I have run into this sort of problem a dozen of times. Creating Smart Previews helps you avoid that sort of situation. If you check the “Build Smart Previews” check box as you import your images, Lightroom will allow you to post-process photographs in any way you like, even if they are not directly accessible at the time. 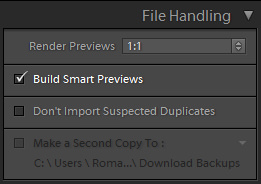 You can, alternatively, build Smart Previews for all or selected images by clicking on the corresponding setting right below the Histogram, as demonstrated. When creating a Smart Preview, Lightroom 5 essentially stores a small copy of the RAW file in its Catalog folder. 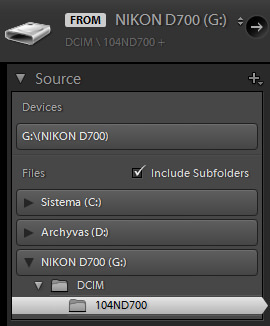 The new file is saved in DNG format and takes up a lot less space than the original file. 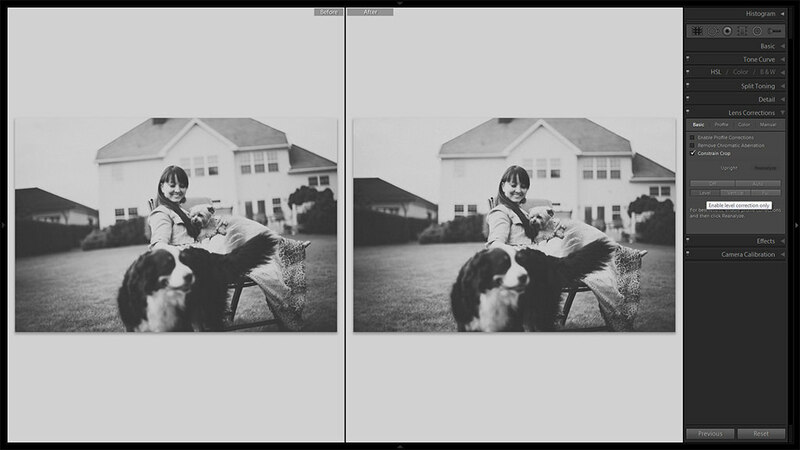 For example, I created a Smart Preview for a .NEF file from my Nikon D700. The original uncompressed file weighs 23.6 MB on my hard drive, while the compressed Smart Preview DNG – a mere 279 KB. Now I am not trying to say that your RAW file will become smaller. Your RAW file stays in the same location and the size does not change. The new DNG file is an additional file that simply stores your smart preview, that’s all. So if you choose to render Smart Previews, the total size of your Lightroom catalog folder will grow, but by a small margin compared to the original RAW file. Are there any limitations? Well, yes. But a minor one. You can only export the image up to about 2540 px in size on the long edge. Having said that, it is still more than enough for web use. I am yet to find any more drawbacks, but considering how much space you can save on your hard drive whilst keeping the main RAWs on an external drive, the Smart Previews feature is amazing! It is especially useful for those who tend to travel a lot and want to save time by post-processing images whilst on a train or during a flight. As I have already said in the Public Beta Overview, the first thing I did when I opened Lightroom 4 is hit the “F” key a couple of times to enter full-screen mode. With Lightroom 5, you need to hit Shift+F instead. Hitting just the “F” key will engage the full-screen preview mode. It is obvious Adobe has given even small details like this a lot of thought. After-all, previewing images is an action you are likely to do more often than change screen modes, and thus should require a simpler key combination. I find myself hitting the “F” key quite often, several times for each photograph I process. Previewing an image in full size without any other distraction is very different than it is with panels and tabs sticking out from the sides of your screen. It gives a better impression on how the image really looks and what else needs to be done to make it look even better. Helps you “take in” the whole photograph as you work on it. What I find most surprising, is how obvious this feature is. I cannot help but ask myself again and again how come Adobe has not included a full-screen preview in the original Lightroom release! But then the answer is simple. With Adobe’s software, the stuff they add always seems obvious once they add it, but you somehow don’t miss it that much while it is unavailable yet. Go figure. It’s sort of amazing. You can zoom in, too. The Full-Screen Preview does the job somewhat better than engaging Lights Out mode (hit “L” key to engage) for uncluttered image previewing, and also allows you a choice to either see how it looks on a black background (full-screen preview) or a white background that I have my Lights Out settings set to. The Slideshow Module has been improved. Most notably, it now supports video files. You can use both image and video files in one slide show, and also add a sound track. As expected, slide shows can be saved in different sizes. If you don’t want video files to play in full length, you can use the Trim Video function to shorten their playback duration. As with Lightroom 4, you can add custom text to every slide, as well as display title or metadata information. The Slideshow Module will be covered in much more detail in a separate article. The Book Module, first introduced in Lightroom 4, has seen a big improvement in functionality and flexibility. You can now add different types of custom text to pages – ranging from the usual title or caption to metadata information of your choice. You can use the Text Template Editor to create new Custom Text presets. A previously missing page number setting is now also available. There are more text font and color adjustments than before. Everything, as ever with Lightroom, can be saved as a preset for much quicker usage. The Book Module will be covered in much more detail in a separate article. Several hot key combinations have been revised. Most notably, the already mentioned full-screen preview mode is now accessed by hitting the “F” key. Previously, you would toggle different screen modes by hitting this keyboard shortcut. To switch between screen modes rather than access full-screen preview, hit Shift+F. You will find more information about Lightroom 5 hot keys by reading our “Most-Used Lightroom Keyboard Shortcuts” article. Full-screen Mode does not show the next image in your selection. This occurs only when you have selected a series of images before entering Fullscreen mode. Video playback is not currently supported in Fullscreen mode. There is no error message informing that offline photos and videos are not exported to slideshows. The slide after a video clip is often not shown. This only occurs when using the Manual Slideshow feature. Custom slideshow templates will default to 480×270 on export. This only impacts custom slideshow templates created in previous versions of Lightroom. The slideshow appears as a black screen occasionally. This only occurs when a video file is chosen as the first slide. Star ratings cannot be applied while previewing or viewing a Slideshow. Deleting a book in the Book Module may occasionally cause another book to disappear. XMP metadata changes are not automatically written to file when the original file is offline. Canon cameras are not detected when using Tethered Capture in Windows 8. This only occurs on Windows 8. Offline photos go missing from Lightroom when moving folder of images to a different volume. GPS metadata on videos created on an Apple iPhone is not imported. Basic metadata is not imported with video files. This only occurs when imported directly from the camera. As a workaround, please copy the files from camera to your hard drive and then import into Lightroom. When utilizing the “Merge to HDR” feature with Photoshop, the resulting HDR image contains metadata from the last selected photo. Photos adjusted using Process Version 2003 incorrectly display a “Post Crop Vignette: Paint Overlay” History step. Selecting a subsequent History State can reset existing settings that follow that state in the History panel. This reset cannot be undone, effectively deleting any settings that have been applied after the selected History State. This only occurs with images adjusted in Process Version 2003. Images exported at less than 1/3 of their original size may not retain Output Sharpening and Noise Reduction settings. A while ago, I published an article on Lightroom 5 Performance Issues. Many of our readers have replied and shared their experience. As it turns out, Lightroom 5 is slower in some areas than its predecessor. I haven’t tested this thoroughly and cannot provide you with specific numbers just yet, but both Importing and Exporting are somewhat slower. Based on user reports, Lightroom 5 also tends to crash, although rarely. No work is lost during the incident. I have experienced a couple of crashes myself, too. Known ways to resolve this include downloading this ui.dll file and replacing the default one with it in your Lightroom installation directory. Another way (for potentially a different cause) is to delete preferences and restart Lightroom. You may also experience slowdowns when using the Spot Removal tool excessively, either while the tool is selected or during regular image browsing within Lightroom. What is more irritating is that Lightroom takes ages to generate thumbnails in Import window when adding images from an external storage device (memory card) or camera. It takes several seconds to generate a couple of lines. Lightroom 4 would load thumbnails much more quickly. Very irritating. Luckily, a few of our readers pointed out a workaround solution. What you need to do is select your memory card or camera from the Source tab on the left-side panel rather than the default Devices tab. It does mean that, after inserting a memory card into your reader, you will need to manually specify the source location. Although time-consuming, it is still much quicker than waiting for Lightroom to load up thumbnails the usual way. Fujifilm X-Trans sensor cameras were really well received by the photographic community. Many believe, myself included, that Fujifilm has brought innovation and new technology to the market that was becoming a little stale in certain aspects. I am of course talking about the hybrid viewfinder and the new sensor technology that does away with the anti-aliasing and Bayer color array filters. Such a move has ensured superior sharpness provided by the new sensor. It is also very good at handling high ISO noise and brings along Fujifilm’s pleasant color rendering in out-of-camera JPEGs. The downside is that RAW files from Fujifilm X-Pro1, X-E1, X-M1, X100s and X20 cameras are very different from those that come from usual Bayer sensors. Consequently, decoding algorithms are also different. Adobe has struggled to nail Fujifilm RAW file rendering in the past. Has situation changed with the arrival of Lightroom 5? Well, let’s see for ourselves. If you compare all three versions, you will notice that the Silkypix conversion is as sharp as the second Lightroom 5 image sample. At the same time, the paint-like artifacts are non-existent as with Lightroom’s default sharpening version. In other words, Silkypix runs rings around Lightroom 5 when it comes to X-Trans sensor RAW file post-processing algorithms. If you bought a Fujifilm X-series camera with the new sensor technology and are absolutely adamant in getting the best out of your RAW files on a pixel-level, make sure to use the bundled software. I doubt it is worth purchasing separately, though. I just wish Fujifilm did itself a favor and provided Adobe with the necessary information to render its X-Trans RAW files just as flawlessly as Silkypix does. Before I dive into conclusions that I was able to draw after using Lightroom 5 for the last couple of months (including my experience with the Public Beta), a short confession is in order. For those who don’t know, I am a big fan of Adobe Lightroom and have been using it for my business and personal work since version 3 came out. Before that, I used ACDSee Pro for my image management and Photoshop, along with its Camera RAW module for post-processing. I can’t believe how tedious such a workflow was for my work when compared to what I can now do with Lightroom alone. And I am not exaggerating – save for Brenizer method panorama merging, all my post-processing work is done with Lightroom alone. It suits me so well, that I don’t even use third-party plugins and dropped Nik’s Color Efex and Silver Efex Pro completely after moving to Lightroom 4. Those are top-notch products, too, so it should say a lot about how useful Lightroom is for me personally. Noise reduction? I used to use Nik’s Dfine and Topaz DeNoise, both of which are superb. But Lightroom’s built-in noise reduction, although a bit inferior in comparison from a technical standpoint, is actually more pleasing to my eye and suits my tolerance for digital grain very well. By no means am I suggesting you should stop using all the other post-processing applications or plugins in favor of Lightroom. What I am saying is that my expectations for Lightroom 5 and all upcoming releases were and are rather high. Perhaps too high, but only because Adobe was so good in the past for me, I expect them to only get that much better in the future. That said, as much as I am a fan of this software, I am not going to be overly gentle with my conclusions. Keep that in mind as you continue reading. Credit where credit is due – let’s start off with the good stuff. Adobe has, once again, released a well thought-through product that is certain to make the workflow of a lot of professional photographers very efficient. I’m not going to start raving endlessly about every single feature it has and how it has helped me save time while post-processing. You may have already gotten that point if you have read my Mastering Lightroom series articles and various comparisons. Suffice to say, that with the help of the more powerful Spot Removal tool as well as the newly added Radial Filter and Upright tools, it has become even more capable than before. That is a serious achievement given how good Lightroom 4 was. The very minor, but extremely useful inclusion of the full-screen preview mode (triggered by hitting “F” key on your keyboard) is the icing on the cake. Add that to a superb control of tones and colors as well as very natural-looking noise reduction mechanism of the previous versions and you have one software tool that can replace several dedicated programs for a lot of us. It is a natural companion to anyone shooting RAW professionally or just for the fun of it. And, perhaps even more so than ever, Lightroom emphasizes speed, so that we spend less time post-processing and more time photographing. Not to mention all the new cameras that are now supported by Lightroom. What’s not to like? I would have been perfectly happy to end this review at this point, but unfortunately the last question brings us on to the downsides of Adobe’s rightly popular image management and RAW converter tool. I did say Lightroom emphasizes speed, but perhaps clarifying this statement is in order. The emphasis on speed lies in the flexibility of available tools. For example, you can now do some advanced image “healing” with the updated Spot Removal tool and remove objects that are more complex than simple dots. And that saves you time working with Photoshop on the same image, which I personally appreciate very much. When it comes to the actual speed of operation, however, things haven’t really changed for the better. Importing is, if anything, slightly slower. The same with Exporting, which also feels to be more sluggish than before. Use that brilliant Spot Removal tool too many times on too many photographs and you may experience lag when changing adjustments or moving from one image to another. Other obvious bugs and performance issues do not make a very good impression, either. Of course, complex Spot Removal shapes are bound to eat up those resources. After all, there is quite a bit of vectoring involved, not to mention that the image is not actually changed since Lightroom applies changes non-destructively. In essence, any adjustments you perform, including the Spot Removal and the Radial Filter tools, remain as descriptions that must be read by the software. Even so, I believe that a careful optimization of how computer resources are used, as well as some database tweaking should be possible. Or perhaps Adobe needs to start utilizing some in-memory database processing features that we see in enterprise-class databases and applications today. Yes, the speed of modern computers is faster than ever, but with the software getting more and more complex, I feel that Adobe should invest some time in optimizing and tweaking it. It took Adobe a while to add full 64-bit support to Lightroom and I am not sure how well it actually utilizes multi-core CPUs and caching technologies. Probably not enough, considering how slow Lightroom can get. I believe that Multi-threading should now be a part of the Export process, so that we do not have to export multiple images in batches. My last gripe is about Fujifilm X-Trans sensor support. As can be seen from the “Fujifilm X-Trans RAW Conversion” section of this review, there’s still a lot of room for improvement. That’s not to say that results are very bad, but the slight painted-on effect is still present if you examine images very closely. Fujifilm’s bundled RAW converter based on Silkypix does a much better job. I have no doubt in my mind that Adobe will eventually nail the rendering of X-Trans sensor RAW files. However, I find it strange that Fujifilm seemingly hasn’t been helping them out. Let’s face it, Silkypix may be good – I personally don’t have much experience with it. But Lightroom is more popular and will most likely remain so. Fujifilm would do themselves a favor by helping Adobe perfect the necessary algorithms. 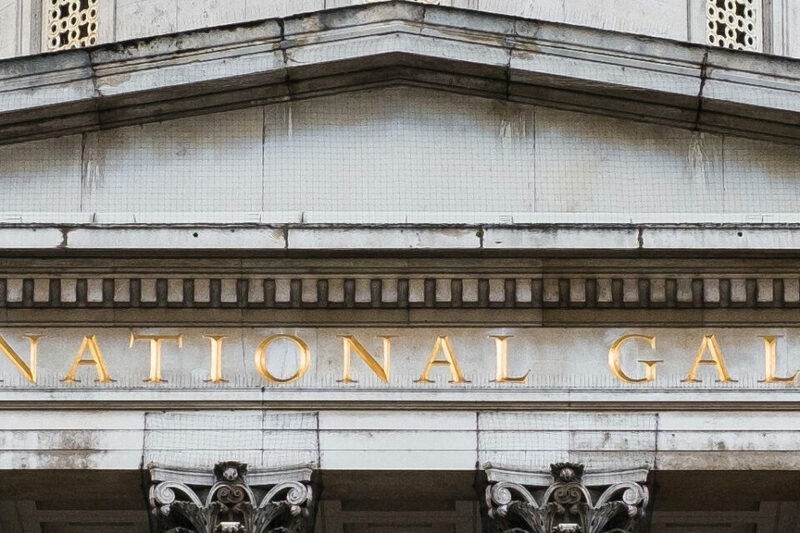 I am quite confident in saying that the Adobe team is probably working very hard to bring much-needed improvements in operational speed, as well as fix performance issues. Even with all these caveats, Lightroom 5 is a real winner, if it is not quite as big of a step-up as we may have wanted it to be. I sure am sticking with it. All would be perfect, if it wasn’t for the slightly annoyed voice whispering in my head each time I want to import images from a CF memory card – Lightroom 5.1 update can’t come soon enough. I hope you’ve enjoyed this review. Please let me know if you have any questions! On the X-trans conversion, Fuji did provide the people behind Capture One, Adobe and Apple the same information they provided to the developers of Silkypix. Adobe chose a method for demosaicing the X-trans files that did not suit the files. The team behind Capture One used a different process to achieve better results than Adobe, results which are on par with Silkypix. if that’s true, Adobe did a rather poor job in comparison. I upgraded to Lightroom 5 from Lightroom 4 and had to abandon it immediately because horizontal crop does not hold on vertical photos. 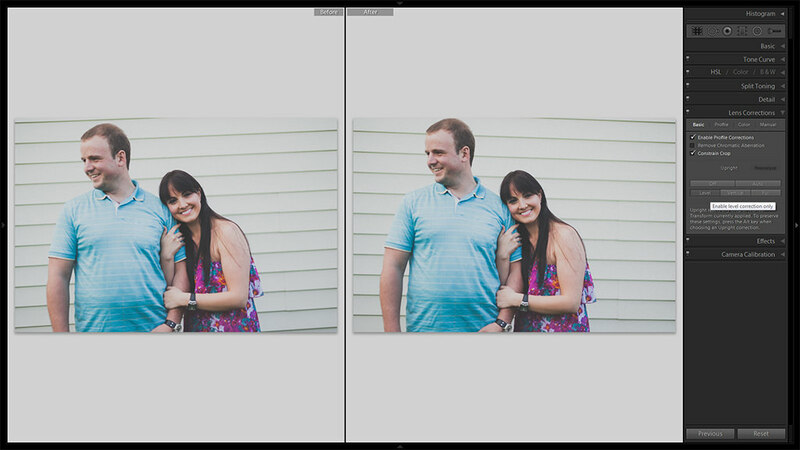 Until this bug gets fixed, Lightroom 5 is useless to me. See forums.adobe.com/message/5437920 for more information. Ronald, Lightroom 5.2 RC update should fix those problems. I will personally wait for a final 5.2 update. Well said, they add new, gotta have that, can’t live without it now that I know it’s coming, features and expect us to upgrade to the next gen computer instead of optimizing their software performance. I wonder how much Adobe is in bed with h/w manufacturers? My dell precision m6700 with an i7, 2 ssds, a 2gb graphics card and 24 gb of memory is only adequate – I still have to wait for a D800 image (spectacular I would add) to render! Windows 8.0 (core i7) still takes about the same time to open a word doc as it did with windows 3.0 (8086). WTF ? Nice review. I was sold on the upgrade with the healing tool and radial filter, both improved my output. I’ve noticed significant slowdown only when doing really extensive healing, such as reworking an old scanned print with a lot of dust spots and scratches. I wonder if performance could be improved if they did add an optional destructive mode. I wouldn’t object to starting with a virtual copy and forget about being able to undo every single spot edit. Hi and thanks for very the informative article. I’m seriously thinking about investing time on shifting to LR5, but could you or anyone else please give me some good arguments for changing from Capture NX2 when being a Nikon shooter. I know there is the upright tool, offline mode, book module etc. in LR5, but what would be the really big advantages compared to Capture NX2 as a Nikon RAW shooter? Anders, I would suggest you try both. 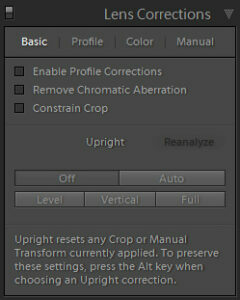 Overall I’d say the biggest advantage Lightroom offers is its ergonomics – it has a very well thought-out interface. Also, the image management features are great and helps access all your images in one place with no fuss. Really hard to get used to a new workflow as I know Capture well enough to do normal tasks quickly and don’t want to spend too much time in front of the computer. Btw. if you are interested I can recommend Jason Odell’s “The Photographer’s Guide to Capture NX2”. I guess theres still not a “killer” reason to change. I expect if I did Nikon would bring out Capture NX3!!! Thanks for the Mike Hagen tip. I’ve been using Lightroom 5 to process a wedding and although it was incredibly snappy for the first hundred images, after that it becomes incredibly sluggish, up to the point of becoming very irritating. All thumbnails were rendered at 100% and yet switching images and simple operations as rotation became horrifically slow, a few seconds at times before I could do anything again. Perhaps it’s because I used the clone stamp a few times, but the bottom line is that I REALLY regretted having upgraded my catalogue to LR5. I have the last version of the 17″ MacBook Pro that completely maxed out hardware wise and a friend of mine had the same issue. I would NOT recommend anyone to upgrade to version 5 until an update has been released. I’ve processed a wedding and a couple photo shoots with Lightroom 5 so far, all within a single Catalog, and have not experienced that much slow-down. I must say I haven’t used the clone tool all that much, however. Hopefully, LR 5.2 will fix these issues. So one thing i dont understand is, if i want to print lets say 8 x 10 copy, would the 279 kb DNG file be able to give a clear copy? 8 X 10 size alteast? I’d have to say – no. Virtual Copy is unlikely to produce large enough JPEG files to print at 8 x 10. You should export while having the original RAW file accessible to Lightroom at max output. Have been using Photoshop CS5 with full NIK software plug ins for several years and I love the results. My only reason to consider switching to, or using Lightroom5, is that with my new Nikon D7100 I have to convert all of my RAW-NEF files to DNG with the Adobe RAW converter. This is so tedious after shooting on an African Safari at two games a day with 300-400 images being shot on each drive. I tried to look up if Lightroom 5 supports the D7110 and I am not sure if I can read their information correctly. They do list the D7100 but I think it has to be converted with the Adobe DNG converter. Does anyone know? if the D7100 is listed as supported camera, you will not need to convert to Adobe DNG upon import. It is a well written review coupled with an honest conclusion. Well done Romanas! The drag/performance issues obviously rest crucially on two factors, which are (i) CPU/RAM/GPU and (ii) a true 64-bit software capable of using all cores and threads. As long as the latter is lacking, the former may not be able to bring massive performance improvement. does Aperture handle Fuji RAW’s better than Lightroom? Thanks for this comprehensive review. Would LR5 be a viable choice as a stand alone editing program? I do shoot mostly RAW images. The alternative would be Elements 11. Jeff, yes, it would be – that’s what I use 95% of the time to edit my images! 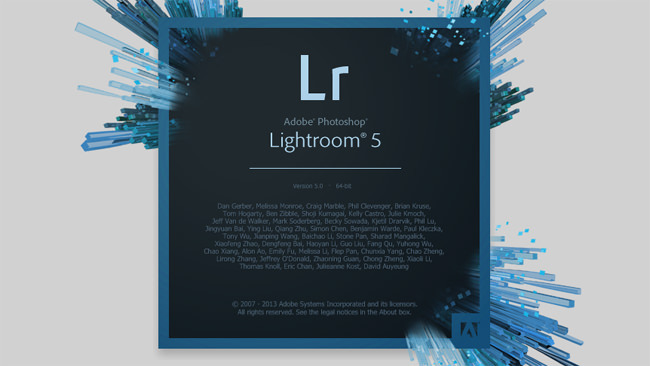 Can u plz sir send me the serial key of adobe lightroom 5.I will be very thankful to you for that.thanks. That would be illegal. Please purchase your own copy of Lightroom. Another great article! I’m very frustrated with Adobe. LR5 crashed my brand new iMac and the adobe tech told me it was the iMac that was defective. The update seems to have fixed the crashing problem, but I have been promised a replacement DVD three times and am still waiting for it, plus Adobes’ overseas phone connection is poor and when added to the non-English accents, almost impossible to understand. Yesterday they told me the case number they assigned me did not exist and that my email address was invalid. 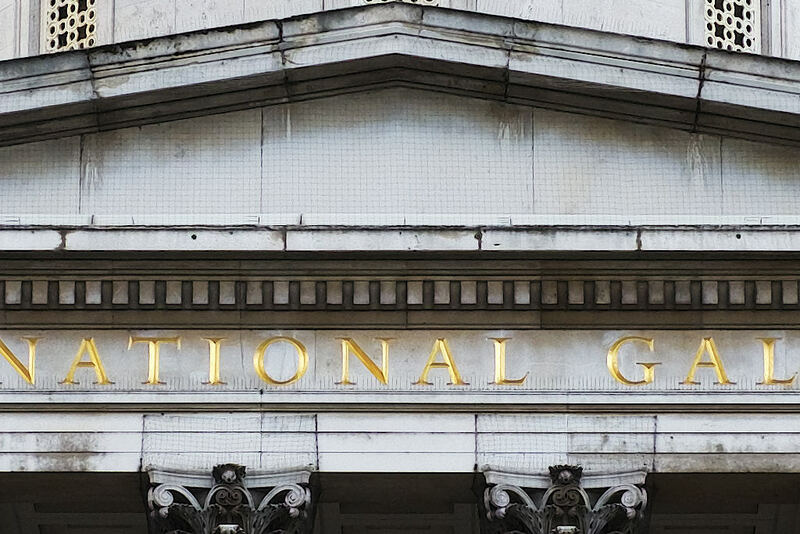 I am seriously considering Aperture or Nikon Capture (which I hope you have reviewed). Too bad, it once was a great product. hopefully LR 5.2 will fix all those issues. I am sorry to say we haven’t reviewed Aperture or Nikon Capture, though. Both of them are very platform-specific. Aperture only works on a Mac, while Nikon Capture, predictably, only works with Nikon DSLRs. We are not ruling out reviewing these products in the future, though. Being a bit lazy in skimming thru the review – however I could not easily find an answer to the following question – is it worth upgrade from LR 4 to LR 5? the review is sort of there to help you decide as you read if it’s worth or not for you. I can not answer that question for you because we all have different needs and expectations. What I give is my objective impressions about the program, and you get to decide if the new features are worth it for you. Personally, Personally, I’ve upgraded and am glad I did. There is also a separate article on LR4 vs LR5 coming. I reckon LR 5 won’t run on that OS. But will LR 4.4 process newer camera files/RAW’s? Will they update their well, not so old, software in this manner? I am sorry to say, but older version of Lightroom will not receive support for latest and upcoming cameras. Only the cameras that are currently supported by LR 4 will be supported in the future. You are most welcome, Marc! Nice review but after upgrading to LR5.2 RC I think performance is better than with LR4. Working on a project with 1500 D800 NEFs my impression is that the smart previews increase speed while working in the Developer mode – in Lib. mode however everything slows because the JPEG previews are used. So far I am not sure how the Jpegs are used as previews when you have the smart previews (DNGs) available. But have to say that I am happy with 5.2 RC although I will say bye-bye to LR the day they make it part of CC. what about going from lightroom3.6 to lightroom 5, do i need to import all my pictures to the new version?! you will need to update your Catalog to one that is compatible with Lightroom 5. It should prompt you to do so once you try to load that Catalog with Lightroom 5. This is my first comment on this website. I am a new reader to this site and within 1 months I’ve learned a lot about photography…………..Thanks to your hard works. Though i don’t own a DSLR camera but i do photography with my 3 years old advanced point and shoot NIKON P100……………later i will definitely buy a DSLR. I am also learning ADOBE PHOTOSHOP LIGHTROOM and try to edit my JPEGs only. My question to you is whenever i export an image after editing in LIGHTROOM, the size of the image reduces a lot…………….suppose from 3.4 MB to 450 kB………why and how ? The image detailing is not lost at all. Arka, upon export, what are your settings in the Image Sizing and File Settings tabs in Export dialogue? Thanks for replying. Actually i always use the option ” export with previous” and use unique names. I don’t export and modify any setting. First of, set the quality setting to 100. Then, make sure you are not resizing your image upon export (resize checkbox in Image Sizing tab is not checked). That should do the trick. But is there any difference that if my picture size is too small ( suppose in kB) then it is not considerable as a good photo. Because as i told you earlier that no details are lost in the 400 KB pic . It is similar in resolution and detailing as the original photo of 4 MB was. So why the size reduction? But i don’t see any detail difference between the photos exported with quality setting : 60 and 100 respectively , only the photo size difference that is 400 KB to 3.85 MB. Can y0u explain me about this? But i don’t see any detail difference between the photos exported with quality setting : 60 and 100 respectively , only the photo size difference that is 453 KB to 3.21 MB. I was wondering, is Lightroom compatible with any other OS other than Windows or Mac, say Ubunto or Linux? My main desktop is a Win7, 64 bit, 16gb ram, 4TB HD. I wanted to be able to use Lightroom on an older laptop running Ubunto. I am thinking the answer is most likely no, but wanted to get another opinion. Great job on all of your articles on Photography Life. Thanks a lot. I am afraid Adobe only does software for Mac and Windows. Unless Ubuntu can somehow simulate windows, I’m pretty sure you can’t run it. I am following ‘The PhotographyLife’ daily in the past 5 years and learned a lot from you and your colleagues. Thank you very very much!! Currently, I am running Lr 4.4 on OS 10.6.8 and would like upgrade to Lr 5. Obviously, I need to upgrade both LR and OS X. “Which one should be upgraded first?” Should I upgrade my iMac from 10.6.8 to OS 10.9.X first and then upgrade Lr 4.4 to 5.x. yes, you are absolutely right – Mac update first, then Lightroom. Do you know any pitfall during this process ?